At Designs by Dennis, whether it's a gift for granny or the perfect wedding gift, we are here for one reason - YOU!! Dennis Mueggenborg began working for Maxine's Flowers and Gifts his junior year of high school in February of 1976. After graduating from high school, Dennis pursued an Associate Degree in Horticulture from Oklahoma State University-Oklahoma City. Upon achieving that Degree in 1979 Dennis continued to work for Maxine Cleaver as a Designer. On September 1, 1981, Dennis purchased Maxine's Flowers and Gifts and continued to operate under that name at the address of 1109 South Main Street in Kingfisher. 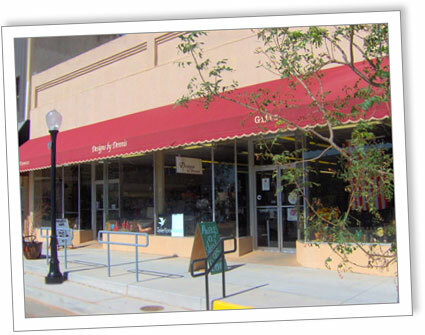 After several years of building a gift and collectible clientele, the need for more walk-in traffic turned the company's interest to downtown Kingfisher. Dennis relocated to a part of the building that was the first TG&Y. In 1991, on the 10-year anniversary of the business, Dennis changed the name to Designs by Dennis. In 1992 he had the option of purchasing a part of the building and also the part directly south. It was then that they added the Hallmark addition to the business. Today, many changes have taken place throughout the years but Dennis still operates at the same location. Designs by Dennis has earned the reputation as a local Florist that goes the extra mile to meet the customers' needs. Dennis remains active at the local and state level. Dennis has served 2 different terms as a Kingfisher Chamber of Commerce Board Member. The latter term, his final year, Dennis served as President of the Board. He also tries to stay atop current market trends by attending Trade Shows, Regional Gift Markets, Floral Conventions, and Design Seminars. In the summer of 2001, Dennis was elected as a Regional Director for the Oklahoma State Florist Association, and is currently serving as President. Dennis encourages each employee to further their own ability by attending Floral and Design seminars that are held in the state.